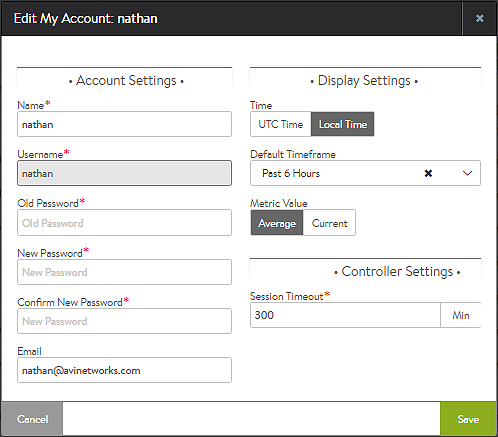 A locally authenticated user can change his/her own password by logging in, clicking their username in the top-right corner of the GUI, and then clicking the My Account selection from the menu. When the user account editor appears, s/he enters the old password followed by the new. Note: An administrator may change other users’ passwords via the User account page, but may only change their own password via the page. Should a locally-authenticated user forget their password, there are two options. User-Initiated: If SMTP email has been configured for Avi Vantage, locally authenticated users can make a reset-password request via the GUI. As depicted in the screenshot of the login screen, a blue Forgot Your Password? 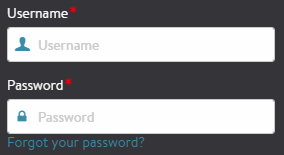 link floats below the password field. Clicking it causes brings up a window which prompts for the user’s email address. If that address has been configured in the Administration > Account > User page, an email will be sent containing a link by which to reset the password. If SMTP has not been configured, the Forgot your password? link does not appear. Note: The user account must have a valid email configured for the account, and Avi Vantage must have access to an SMTP server. See the Email / SMTP article for help configuring email from Avi Vantage. Admin-Initiated: Any administrator or user who has write privileges to User objects can change the password for a local user. From the admin account, navigate to Administration > Account > User and edit the account to be reset. Either input a new password or select the Generate button to create a random password for the user. 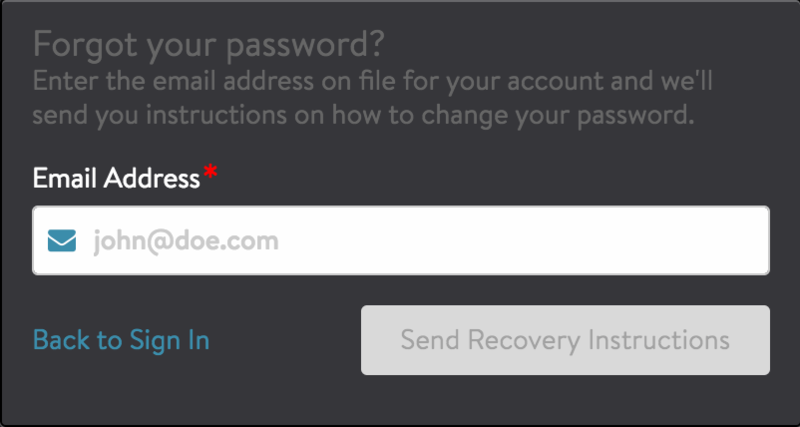 Note that while the password has been reset upon saving, the administrator must still copy and manually send this new password to the user. Password recovery for users who are remotely authenticated through LDAP or TACACS must be performed with the remote auth server. With remote authentication, Avi Vantage does not maintain user passwords and does not participate in the password recovery process. The procedure to reset the administrator’s password is the same as that of any locally-authenticated user.